Fly by private 30-seater plane to Niagara Falls from New York and avoid lengthy airport procedures; it's a Viator Exclusive that's available nowhere else! After a high-speed flight straight to the waterfalls, you can either sightsee independently at four included attractions on the US or Canada side — such as the ‘Cave of the Winds’ or 'White Water Walk' — or visit both sides with a knowledgeable guide who accompanies you to major sights of interest on a full-day tour including the 'Maid of the Mist' boat cruise plus buffet lunch. In-flight breakfast included! While visiting the amazing Niagara Falls, take some time to see the beautiful surrounding areas on a kayak tour along the Niagara River. On this 2.5-hour kayaking tour from the American side, your professional guide will lead you along the river, where you'll see numerous scenic sights. 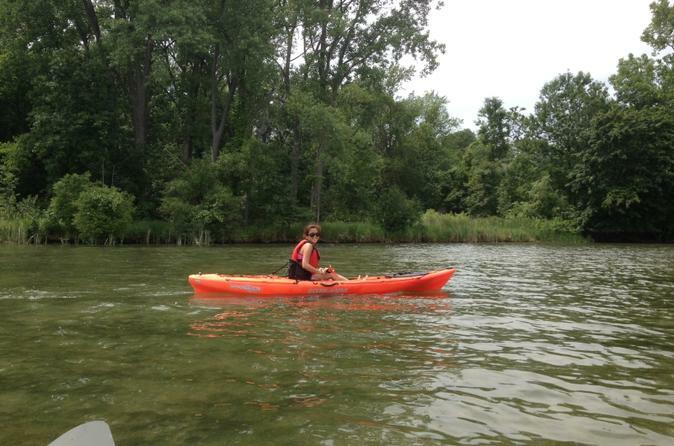 Kayak along Grand Island, Strawberry Island and Motor Island, pass the famous River Lea Farmhouse and continue through a wildlife habitat teeming with osprey, eagles, cranes, mink, beavers and more. And don't worry -- you will not be kayaking over the falls! 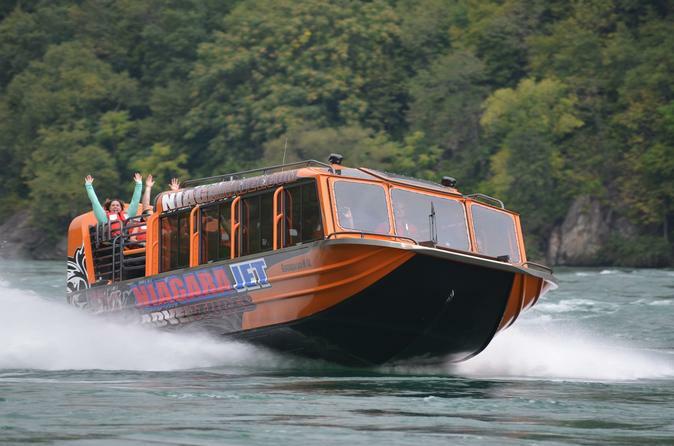 Niagara Falls may be the Niagara River’s crown jewel, but there’s more to be seen and experienced on the river than the tumbling water, and if you’re the adventurous type, a jet boat ride through the river’s white-water rapids and whirlpools is the way to do it. Take a thrilling 60-minute journey that includes Class 5 and 6 rapids and a chance to admire the beautiful Niagara Gorge. Opt for a seat in either the enclosed cabin or the wet deck (which lives up to its name! ), and choose from several departure times from the late morning to early evening. Tour the U.S. side of the Niagara Falls on this Classic All American Tour. 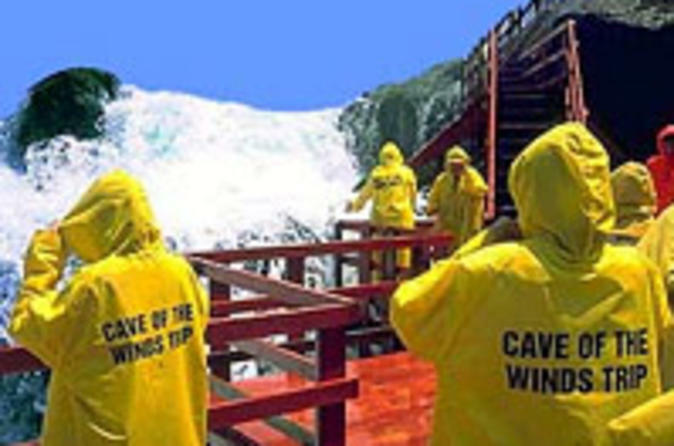 Your trip includes admission to the Cave of the Winds and the iconic Maid of the Mist boat cruise. 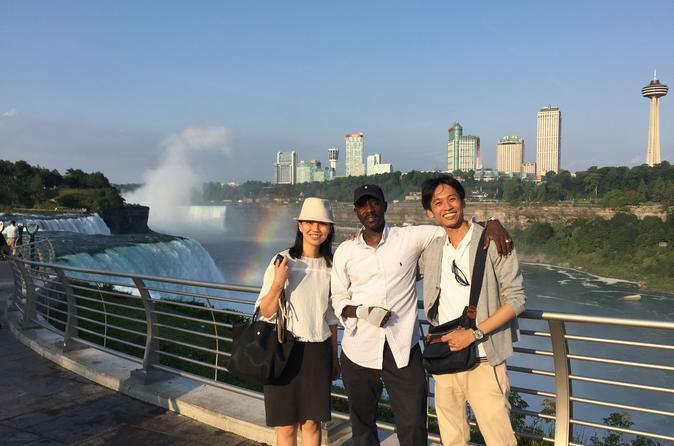 Your licensed Niagara Falls tour driver/guide will accompany you as you explore one of the natural marvels of the world. From the giant natural whirlpool 6 miles downstream, to the raging rapids upstream of the Falls, you'll experience all Niagara has to offer as your guide provides you with the pertinent facts, figures and history. All guides are trained, informative, knowledgeable and fun! The Underground Railroad, the network that shuttled slaves to freedom, stretched all the way up to the Canadian border. It is estimated that between 30,000 and 100,000 slaves crossed the border to gain their freedom. 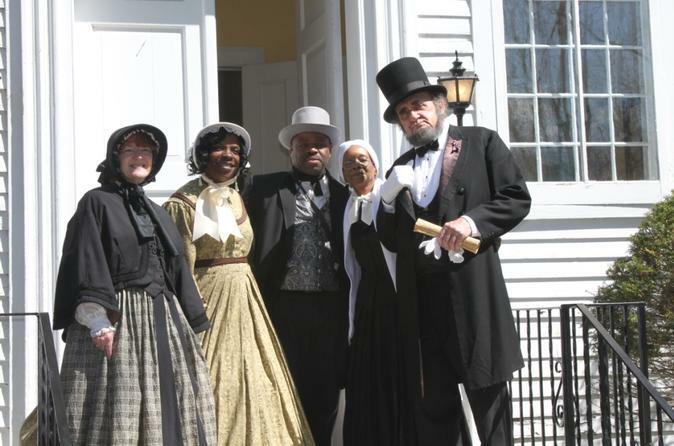 This tour takes you back to the 19th century, with your guide and others in historical garb, to reveal what the Underground Railroad was like. 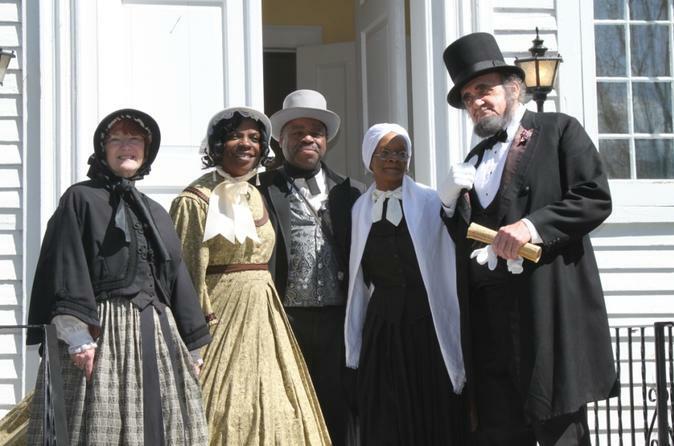 Hear stories of great intrigue and see many sites that played a pivotal role in giving tens of thousands of people their freedom. And as a bonus, visit the famed Niagara Falls. This is a small group tour with no more than 15 people, allowing more access to the guides for each tour participant. 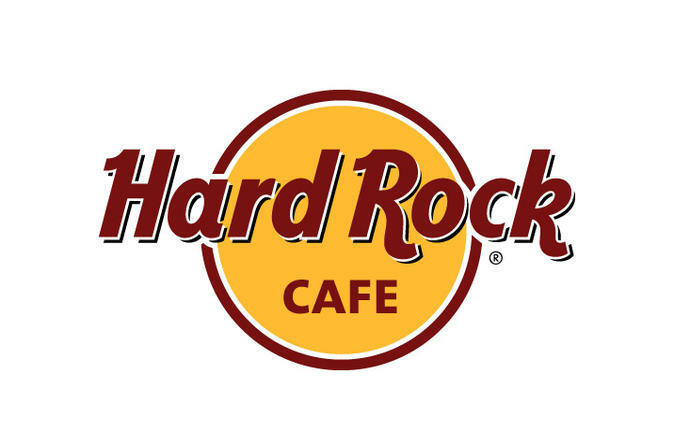 Rock your senses with a prix-fixe menu at the Niagara Falls Hard Rock Cafe. Classic American cooking comes to the heart of the Falls, where you’ll enjoy a 2- or 3-course meal with your choice of theme: Blue Grass, Hip Hop or Jazz. Each option comes with a drink (coffee, tea or soda) and dessert. Expect entrees like the classic cheeseburger, a half-rack of hickory-smoked ribs, salmon, steak and even some vegetarian options. Love One - Serve All! 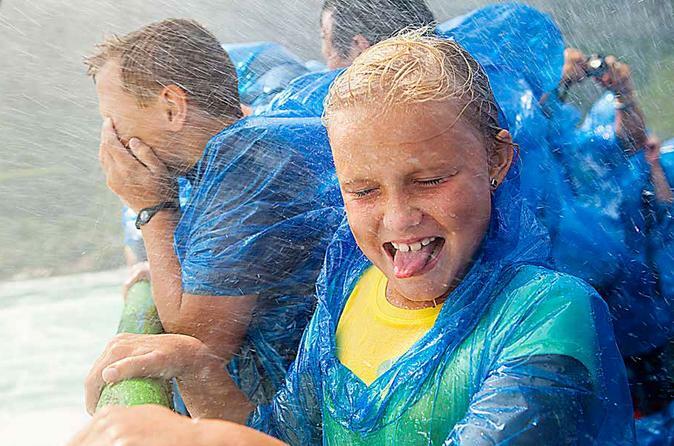 Take home the memories of a lifetime while watching over a million gallons of water rush over Niagara Falls every minute. 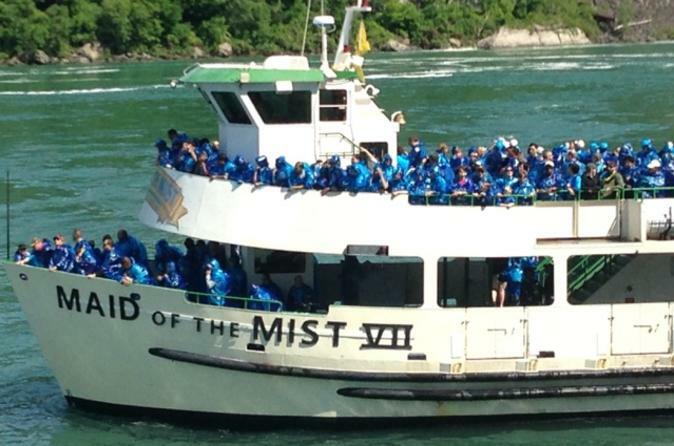 On this tour, you will feel the refreshing spray of the Horseshoe Falls on your face as you ride on the Maid of the Mist Boat Cruise. Then feel the magnitude of Bridal Veil Falls while standing at the base and exploring the Cave of the Winds. Exploration and excitement await on this hands-on, up close and personal experience of Niagara Falls, USA. Explore the natural beauty and learn all about Niagara Falls on this private sightseeing tour with a private pick up at your local hotel. 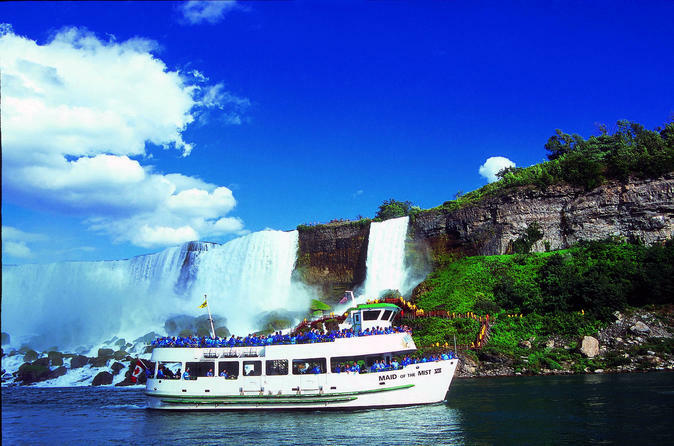 Take a Maid of Mist boat cruise to enjoy the falls up-close. Niagara Falls has breathtaking sights and leave you with memories to last a lifetime. End the tour at the Hard Rock Cafe for priority seating lunch. 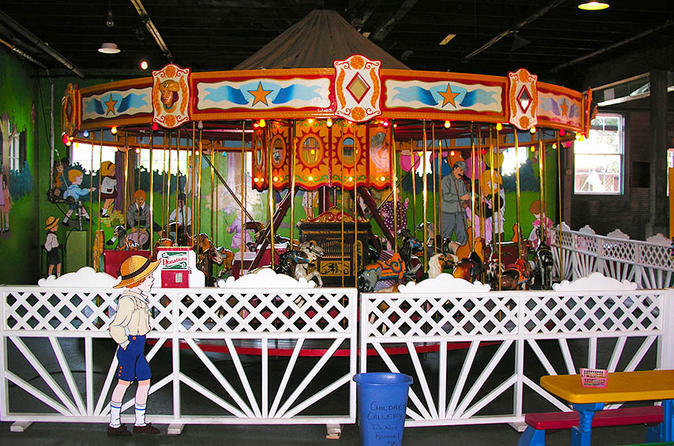 Bring your children with their favorite stuffed animals to the annual Teddy Bear Picnic at Herschell Carrousel Factory Museum. Enjoy an afternoon of games, crafts, stories and treats. The Scenic By-Way UGRR Heritage Tour evokes softening words - picturesque, tranquil, idyllic, quaint, and charming only describes the scenery and settings of the villages and hamlets we venture to and from as this tour unwinds but, it doesn’t’ begin to describe the experience you will encounter as you venture back into the 19th century, moving about and within original structures built by Early American Craftsman. We take you back to an era where protest, abolition and visionaries were the order of the day. Discover the Niagara region, ride the Maid of the Mist boat cruise and Niagara Jet Adventure Class V rapids boat ride, then finish the day off with a wine tasting from one of the award-winning wineries along the Niagara Wine Trail. 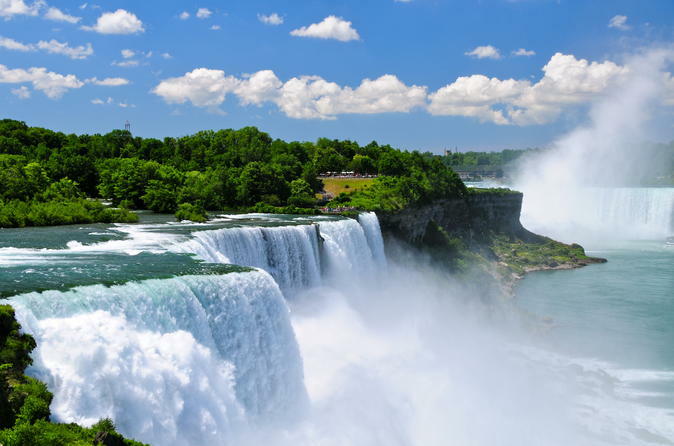 This six hour guided tour will take you from the refreshing spray at the base of Niagara Falls, down river into the deadly Whirlpool and Devil's Hole rapids, and then out into the scenic countryside of the Niagara Falls region. Your day will be filled with excitement, entertainment and natural beauty all while you learn about the rich history and daredevils of times past with your guide. 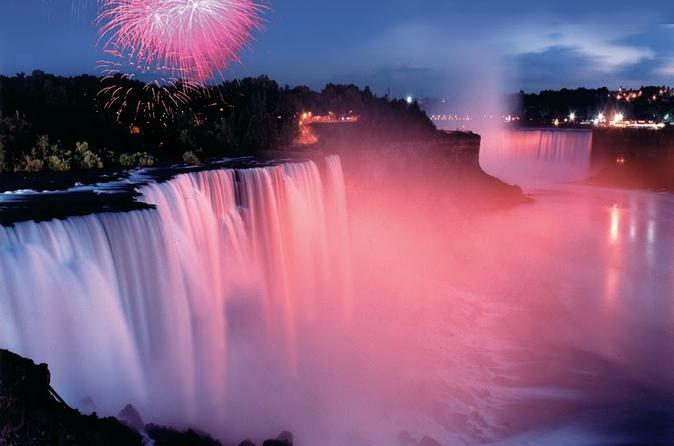 Enjoy an entertaining tour of Niagara Falls that culminates with an amazing fireworks display over the Falls! A perfect tour for families with small children or couples seeking a romantic evening at Niagara.